Websites need space to host data and run their scripts and applications. This space is provided to them by servers – either Linux or Windows servers. Both Linux and Windows servers have been used in the hosting industry since long. Users choose them according to the applications or programs they are implementing on their site. Both Linux and Windows servers have their pros and cons but Linux servers are most widely used in the recent years due to Linux being an open source, robust and secure operating system- one with well managed file system. The main advantage of Linux is that it has a large community comprising helpful people and so there are more Linux users in the world. More than 80% of developed applications use Linux Server due to ease of application development and faster execution. Console Linux mostly provides CLI console which requires lesser memory. Windows provides GUI console and so it requires more memory, otherwise it hangs. Security Linux provides many levels of security like iptables, tcp_wrapper and pam. Windows provides security in the form of firewall only. Control panel Since Linux is open source, it has many open source control panels for managing hosting but most commonly used control panels are cPanel/WHM and Plesk which are paid. In Windows server, most commonly used control panels are Plesk and WebsitePanel. Application language Applications developed in PHP mostly use Linux. Except PHP, other languages like Perl, Python mostly require Linux only. Applications developed in ASP.NET use Windows. Database MySQL is most commonly used database in Linux server. MSSQL is most commonly used database in Windows Server. Application level security Linux has many application level firewalls like ModSecurity which protects website. There is no or lesser security on application level in Windows server. 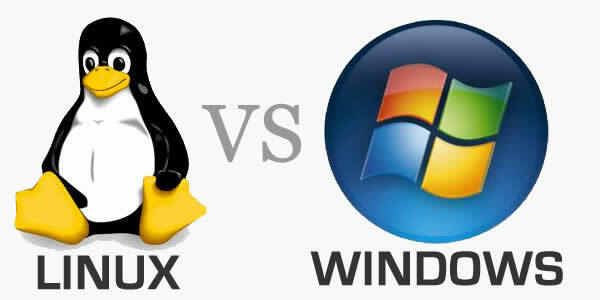 Also most applications that run in Linux server can be also run in Windows server but Windows can’t provide full functionality and security as compared to Linux Server. Linux or Windows servers – which one to choose? It depends on the choice of users – which platform is needed by their applications for faster execution. Today most applications are developed in either PHP, Perl, Python, Ruby on Rails, Java etc. and all these need Linux server for faster execution and high security.